"Buckland Farm established in 1774, steeped in local history located in the historic village of Buckland. 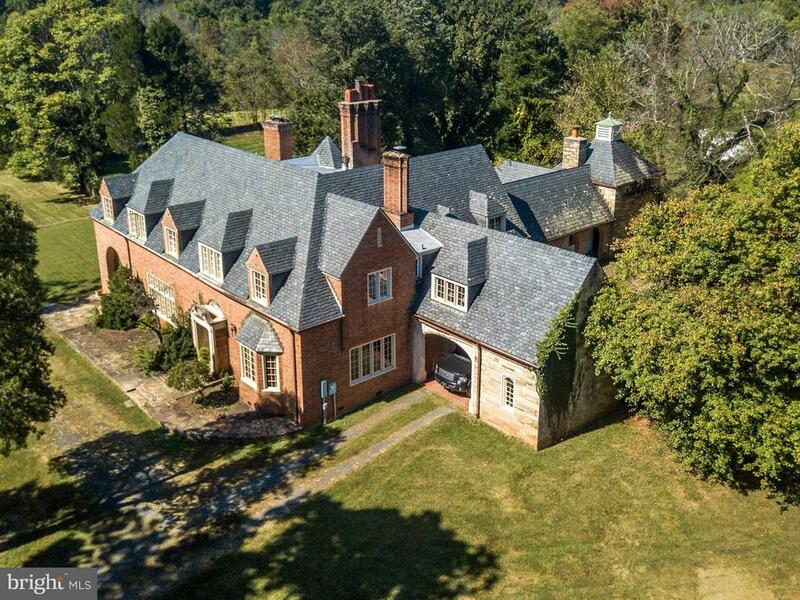 Equestrian paradise, home of Legendary Kentucky Derby and Preakness Winner, Pleasant Colony. 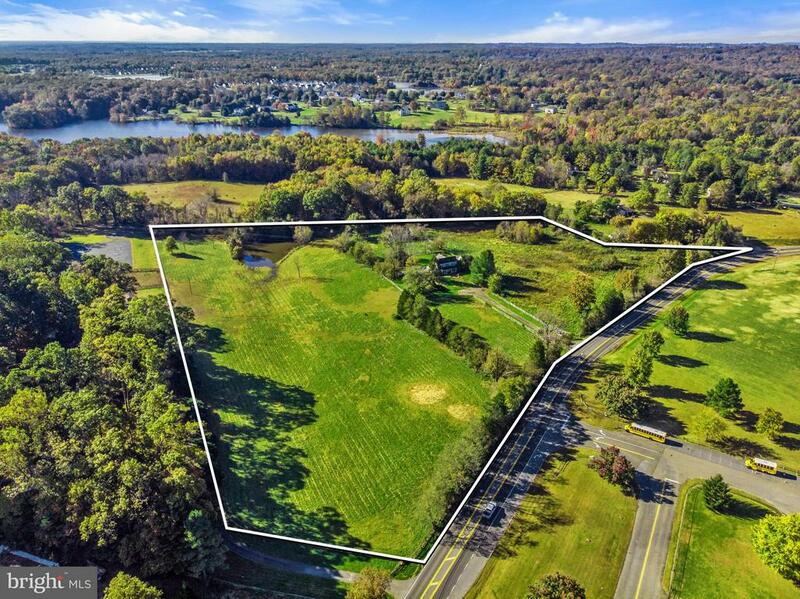 470+/- acres with polo field and stables, miles of fenced paddock. Previous home to the Casanova Point to Point. 90 acres in conservation easement. Main House, Pool, 4 Tenant Houses, 5 acre pond." 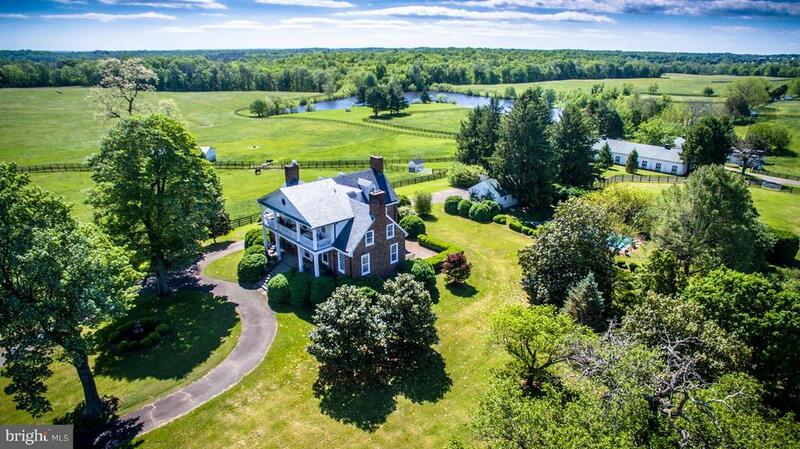 "Historic Ashland Farm, sited on 130 acres, has origins c. 1725, enhancements by architect William Bottomley & a total renovation b/w 2016-2017. The 8,477 sq ft stone manor house has numerous fireplaces, 2 kitchens & sumptuous master suite. There is a tennis court, sports barn, stocked pond, heated pool/hot tub, 3-BR guest house, 25 stalls, 190' indoor ring & caretaker's cottage. Offered furnished." "Arborvitae, C 1890 & 1935, is a rare example of late medieval architecture with its massive central chimneys, steep roof lines, and unusual brick patterns. Five bedrooms and 3 full baths & 2 half baths. 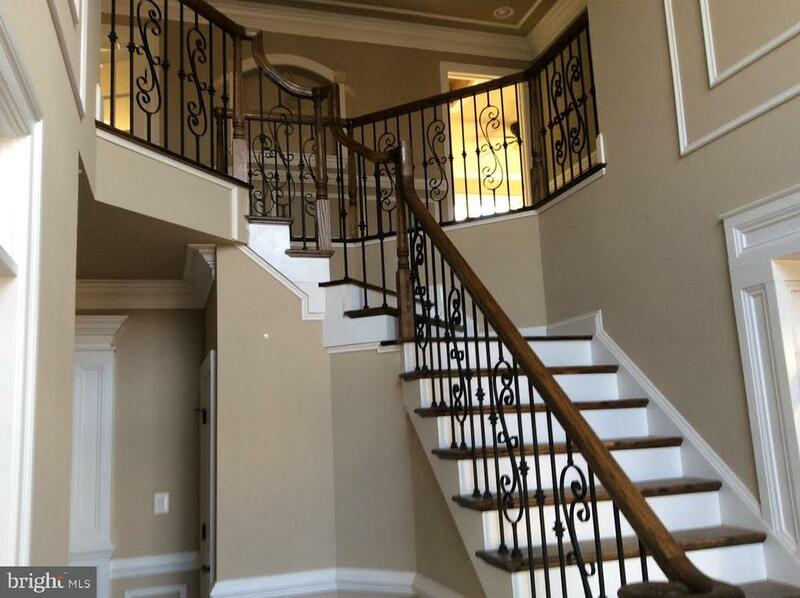 Double barreled ceilings, winding staircase, generous sized rooms & decorative fireplaces. 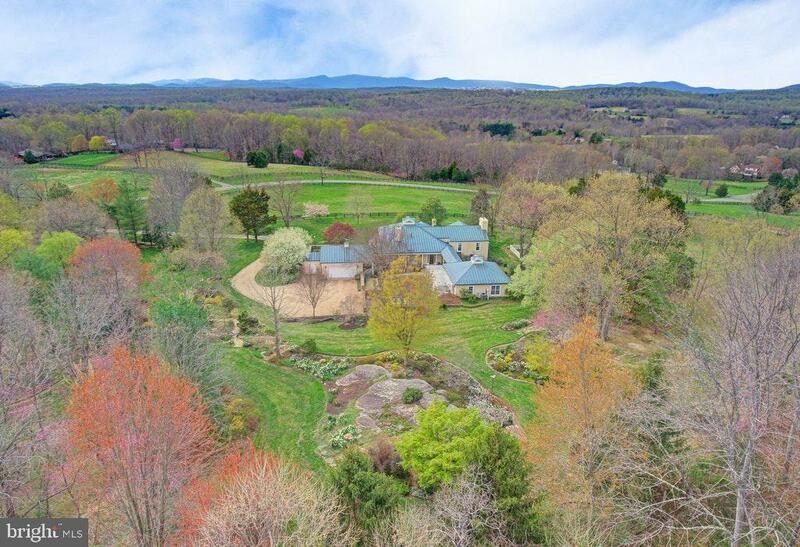 Situated on 111.74 acres, strong stream, stable with cottage & stone-walled terrace gardens,"
"Peace, Love & Joy Farms, long hard surfaced driveway leads to this special home built in 1985, 6 bedrooms, 5 1/2 baths, 5 fireplaces, high ceilings, large rooms with good flow, formal garden overlooks Cedar Run, large pond, pool w pool house, barn could have 4 stalls. Rolling land, very private - yet very close to Warrenton." "Unique & Amazing!! Attention Developers! 18+ acres zoned R1 with a proposed SD plan ready for your review. 12+ possible lots PLUS residue of 3+ acres and mid-1900's ALL stone house! So many possibilities with this jewel! Subdivide the 15 acres and sell off the stone house or keep as an investment property or subdivide the entire 18 acres. 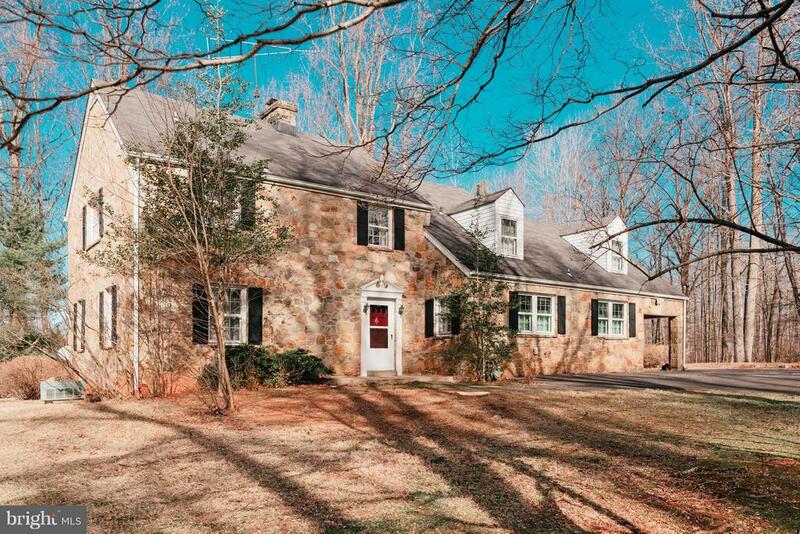 Stone house built in late 1940's with beautiful hardwood floors throughout! 4BR & 2.5 BA, den/library, LR, DR, garage and kitchen. Vintage details! Renovations to the Kitchen & Baths would put this house over the top! HWH & Furn 2008, A/C upstairs only 2004. Contact LA for more info." "Fabulous!! 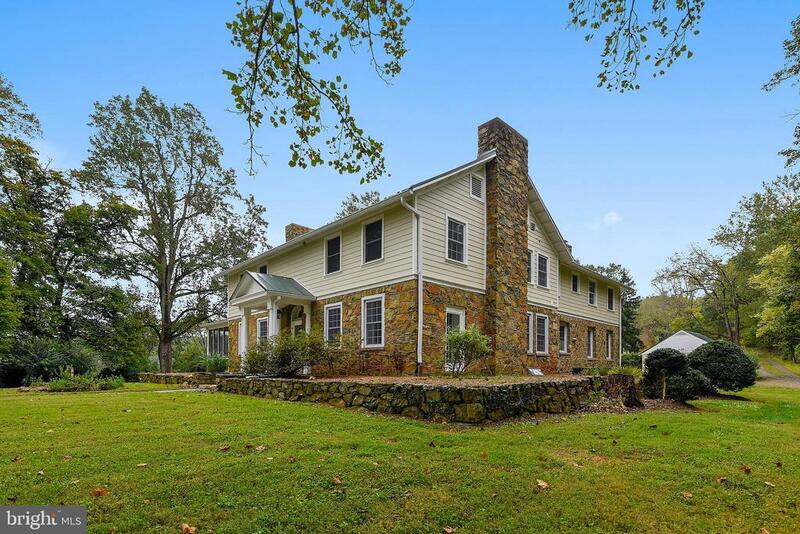 Completely Renovated circa 1890 Country Home on 48 private and scenic acres 10 minutes from downtown Warrenton. New gourmet kitchen w highend stainless appliances, 42 inch white cabinets, granite, center island, 5 in. white oak hardwoods. New custom designed master bedroom suite with luxury bath and walk-in closet. Barn, tenant house, 2 car garage, in-ground pool. Open /Wooded. Special"
"Solid farmhouse (circa 1884), with 4 bedrooms and apartment. Property consists of 14 aces with Fauquier County subdivision approval for 12 lots. Combination of cleared and wooded acreage with pond, Comcast cable and great commuter location. Tremendous potential!" "Grove C. 1820. In the heart-of-hearts of America's finest foxhunting territory approximately four miles from historic Warrenton, VA. Surrounded and protected by conservation easements. 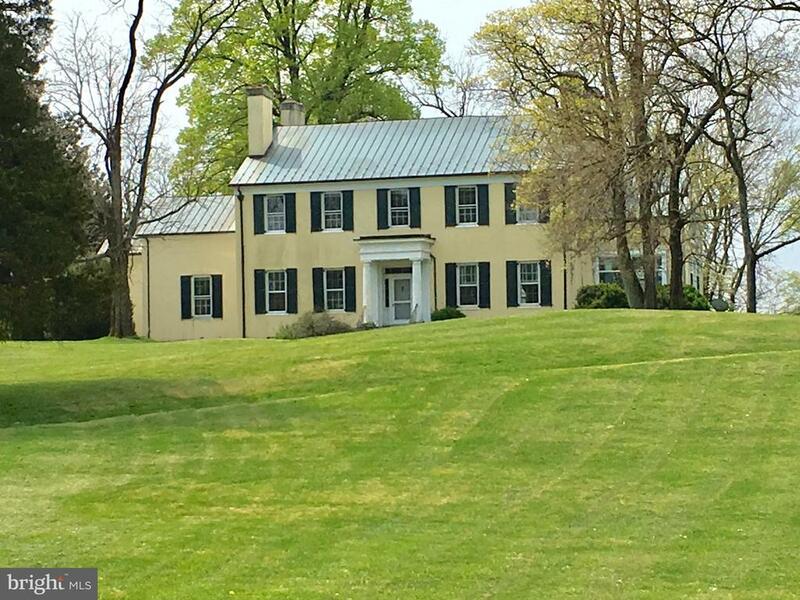 Grove has played a major roll in the Warrenton Hunt being the home of Masters of Foxhounds and entertaining the likes of General George Patton and others. Five fireplaces, extraordinary wood trim, three story grand staircase with walnut railing, very high ceilings, and clouds of informal and formal boxwood gardens. Staff quarters, garage apartment, stable, 25 acres fenced and cross-fenced with board and stone fencing., pond. Additional 100 adjoining acres available." "What a rare opportunity if you're looking for a horse property or country estate. 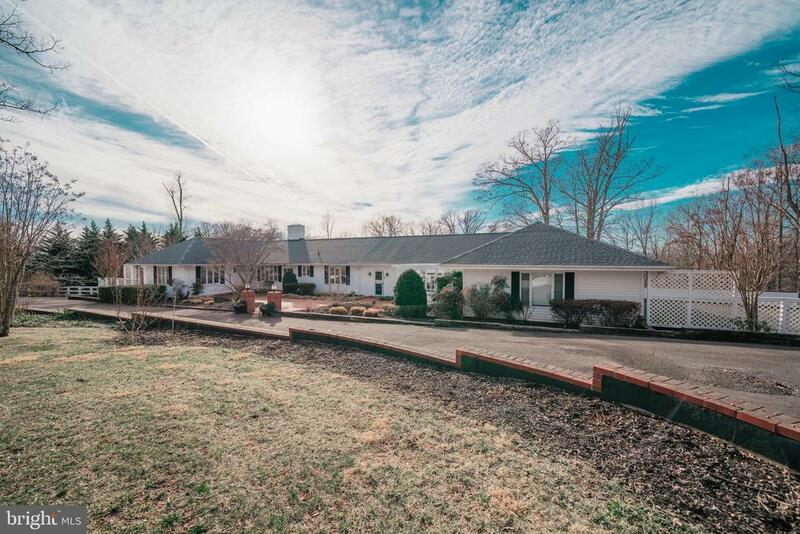 10-acre home located on the DC-side of Warrenton! 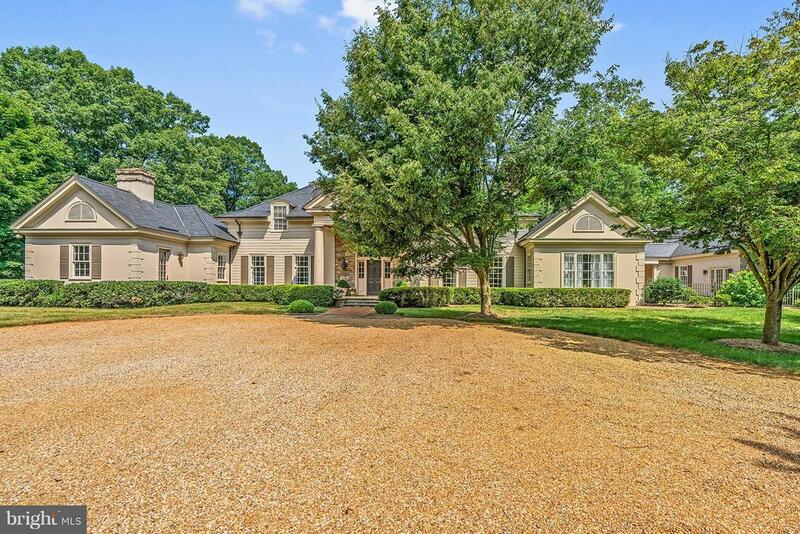 Custom colonial home finished on 3 levels and features 5BR, 5.5BA and 2 fireplaces. Spacious bedroom located on main level. Open gourmet kitchen includes granite counters, cherry cabinets, ceramic tile floors, and large center island. Owner's suite with a beautiful deluxe master bathroom, spacious walk-in closets, and sitting room. The finished lower level has a rec room with wet bar & fireplace, exercise room/den, and full bath. Center aisle barn has 4-stalls, which can easily be converted to 5 stalls, tack room and wash area with hot and cold water. Fenced paddocks and dry lot. Property also includes 3-car detached garage with office/storage space on upper level. This is a must see...view photos!" "3 Parcels totaling 2.83 acres zoned for townhomes. Possible yield of 18 lots. There are 3 houses. 38 Spring is served by sewer. 42 & 37 are septic. All town water. Townhomes are in demand especially in this good location few yards to Main St , library, courthouse etc." "Trophy French Country home with the ultimate in design & quality. Sweeping curved staircase, great room w/high ceilings & massive salvaged beams & stone fireplace, Quartz counter-tops in bright kitchen w/island, stunning window arrangements, 1st floor master w/tray ceilings, numerous closets, large master bath. 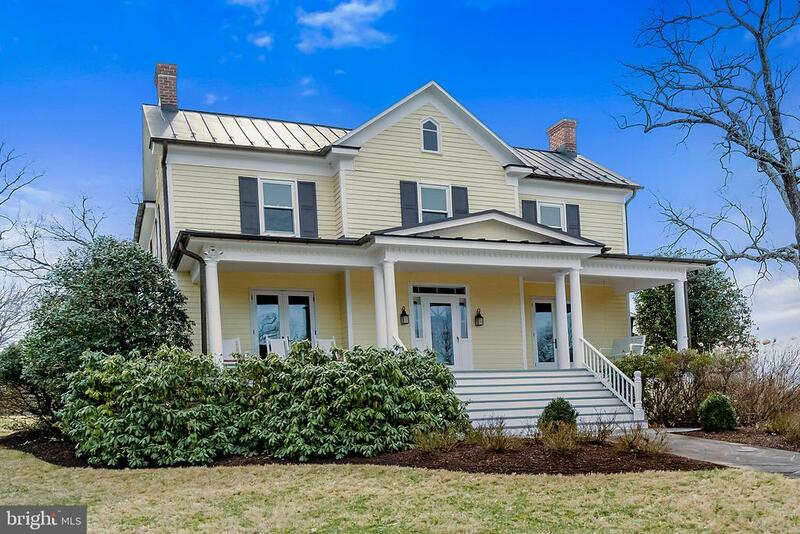 6 bedrooms, 3 on main level, inviting covered porch, patios, mature landscaping, fabulous views." 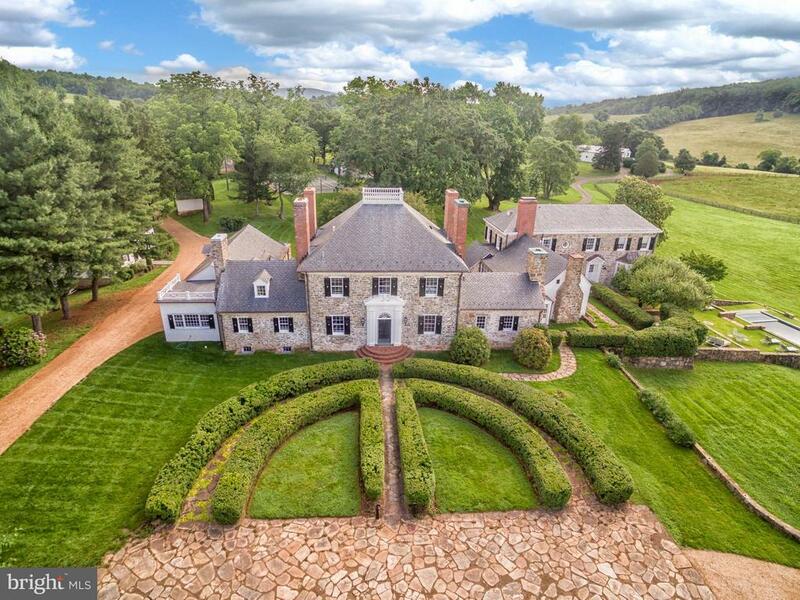 "Fabulous Fauquier County estate on 11+ acres with breathtaking views of the Blue Ridge Mountains, Skyline Drive and Shenandoah National Park. The home is located in the Bellevue community, known for its extensive horseback riding and walking trails. The custom built 3 bedroom home with over 4300 finished square feet. Gleaming antique pine floors. Soaring vaulted and curved ceilings and beautiful cupola that offers loads of natural light. Gourmet chef's kitchen with Downsview Custom Cabinets, sub zero refrigerator with custom Downsview panels, Gaggenau hooded gas cooktop, stainless steel hood, Wolf double ovens, huge island with a 2nd sink and windows with mountain views. The breakfast room has french doors that lead to a private balcony overlooking the stone walled english garden with flagstone walkways. The formal living room is a work of art! With tray ceiling. The focal point is an impressive wall with custom built antique pine cabinets and fireplace. The dining room is another work of art! With its custom ceiling and curved windows with mountain views. The room also showcases a one of a kind antique crystal chandelier. The bedroom level has a luxury master suite with 3 walk in closets (one of which is a cedar closet). Master bedroom has a cozy fireplace, sitting area, built in window seat and french doors leading to a private patio. The master bathroom offers a seamless walk in shower, jacuzzi tub, double granite vanity and private water closet. Bedroom #2 is currently being used as a library. It offers a gorgeous stone fireplace, built in bookcases and built in desk. The 3rd bedroom offers loads of natural light and walk in closet. Bedroom 2 & 3 share a jack & jill full bathroom. The utility room also houses the back up generator. The greenhouse is also connected to the house. It has a potting sink and custom designed brick and sand flooring perfect for all your greenhouse needs. The private 784 square foot Guest House is such an inviting space! I"
"Custom Ranch Beauty. 4 BD - 6 BA home is updated and ready to move right in. Main floor is open and has an office/study with a private entrance. The kitchen is gourmet all the way. Beautiful views from every room. In-ground Pool with lanai. Master Suite on both levels. This home says luxury." 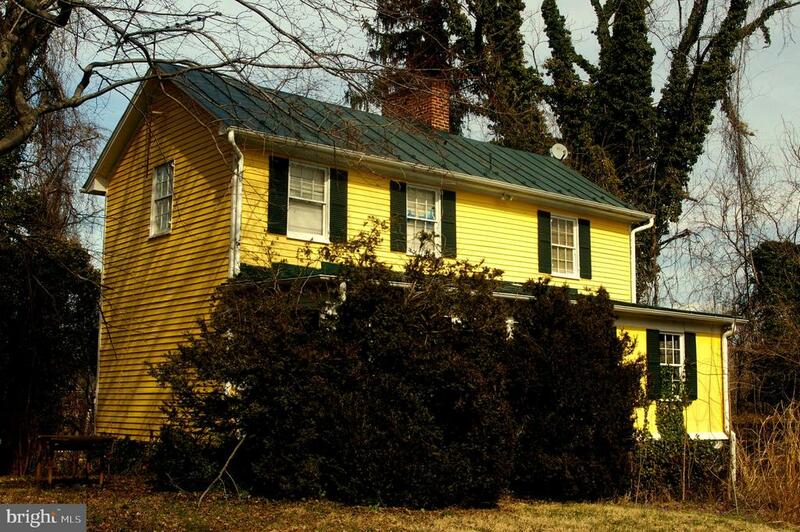 "The Farmhouse at Waterloo - Circa 1850 (possibly much older) is situated in one of Fauquier~s most historic areas and even has some international intrigue. This handsome nineteenth century home is well presented on a quiet country lane in a setting of 200 year old oaks, walnut, tulip poplar, magnolia, cherry, fir and a plethora of flowering shrubs including azalea, hydrangeas, roses and hundreds of daffodils. Centered on a sweeping lawn surrounded by woodland for privacy and featuring mountain views, spectacular sunsets from the rear deck and enjoying your morning coffee and watching the sunrise from the front sitting porch . Exceptional architectural features such as 12wide heart pine floors, original rounded beams, stone walls, two woodburning fireplaces, antique stained glass, copper sinks and French doors to the spacious, Norman Rockwell front porch for morning coffee. There are four bedrooms and three and 1/2 baths. A wide flagstone sidewalk brings you to the front porch and into a center hall with stunning walnut railing on the attractive staircase. There is a quaint back staircase. An amazing treat is found in the lower level hide-away with tile floors, all stone walls, massive beams - a perfect tasting room or escape into your favorite book. 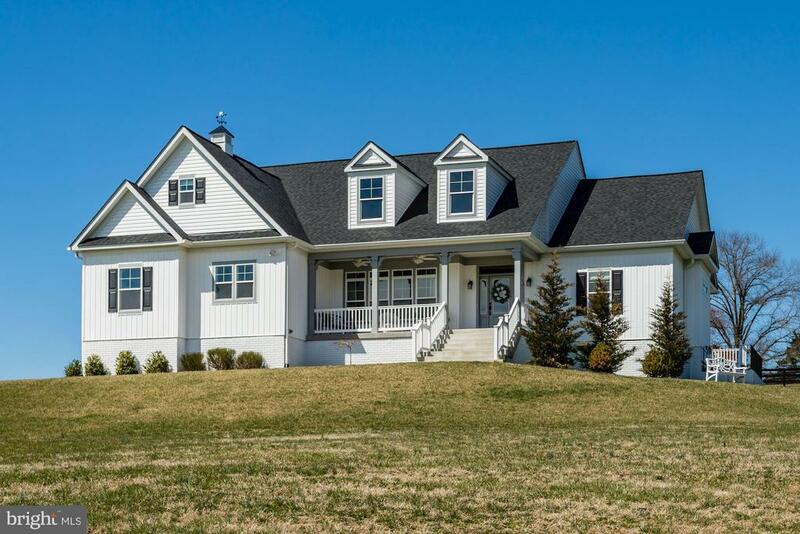 Wonderfully placed in Fauquier County hunt country on nearly 14 acres approx.. 4 miles from historic Warrenton. There is a spacious 4 stall stable with wash rack and tack room. Verify square footage. Listing includes additional lot 6964-03-8461." "Beautiful custom model home on over 3 acres on Lake Brittle. Gorgeous lake views, sunrises, sunsets. This home is currently used as Lakeside Homes' model home. and has many upgrades including custom kitchen cabinets and granite, 5 hand scraped hardwoods, custom tile baths, stone fireplace, sun room, deck, basement bar, A must see!" "Beautiful and spacious colonial in great location . Loaded with lots of rooms and space for easy family living, Master BR with sitting area and fireplace in master bath. Wonderful floor plan with convenience and comfort in mind, 6 fireplaces, rec room, music room, exercise room, rear patio, 3 car garage, fish pond, waterfall, large rear deck, sprinkler system, workshop, landscaped, much more." "Spectacular rambler is one floor living at it's best. Beautiful 1+ acre private wooded lot. Terrific great room with 11 ft. ceiling next to a cathedral ceiling sunroom - see thru gas fireplace with marble hearths. Fully finished lower level for in-laws. Lower Level has full kitchen, two bedrooms, gas fireplace, laundry, and bath. New roof and skylights. Huge storage area. Extra room under sunroom with outside access. Perfect for shop. Home has been meticulously maintained!" "Unavailable to show March 22nd, 23rd, 24th Upgraded and Improved! Renovated and Renewed Elegant 9646 sq ft living! 2 new gas furnaces, 1 new heat pump, 2 new AC units, 2 new full baths, new ejector pump in 2017, 4 zone climate control for low utility bills, but comfy living with no cold, drafty areas, 2 water heaters. A uniquely designed house on the DC side of Warrenton with tons of lavish features and impressive personal touches for someone who wants a luxurious home experience in a quiet neighborhood with NO HOA! Stunning modern Grand Tudor Manor mostly brick house with leaded, beveled glass front doors and side lights that match leaded, beveled glass doors on 4 of the real wood kitchen cabinets. All new quartz kitchen countertops in 2016 that match quartz countertop and stainless steel sink in nearby main floor laundry. Expansive 20 x 14 tiled floor main kitchen with all wood cabinets boasts a 5 burner cook top on a huge cook island and a Cook-n-Vent stainless steel power retractable Thermador vent fan, large walk-in pantry, Dishwasher, Trash compactor, Over/Under stainless convection ovens, built-in microwave. Adjacent to Garden/Breakfast room eat-in area with wide, tall windows to let in lots of sunlight and view deck. Includes a custom made cook-top cover for buffet style use of the cook island! The immense first floor master bedroom has a fireplace, a palace sized master bathroom with tiled floor and shower, jetted tub, separate toilet area and bidet, twin clam shell sinks and lighted vanity. The walk-in closet is a whole room with a built in armoire! Double doors open onto a Trex deck done in 2004 next to the Koi pond. 5 bedrooms each have their own full bath and full closet. 4 bedrooms have roomy spaces to fit big dressers, armoires and king size beds. The front foyer flows into a circular design with curving staircase and grand piano pedestal, dining room and lower library, each with doors out to the covered front porch for spectacular morning sunlight. T"
"BRAND NEW THREE SIDED BRICK COLONIAL * WIDE PLANK HARDWOOD * ELEGANT KITCHEN WITH WINE BAR, CENTER ISLAND, COMMERCIAL RANGE, FARMHOUSE STONE SINK * GRANITE IN KITCHEN AND BATHS * HEATED TILED SHOWERS AND FLOORS * THREE CAR GARAGE * INTERIOR OVER SIZED TRIM THRU-OUT ENTIRE HOME * OIL RUBBED BRONZE HARDWARE AND PLUMBING FIXTURES * THREE FIREPLACES * NINE FOOT BASEMENT HEIGHT * MAIN LEVEL MASTER SUITE * SHOWN BY APPT. ONLY"
"Imagine an opportunity to own your dream home. 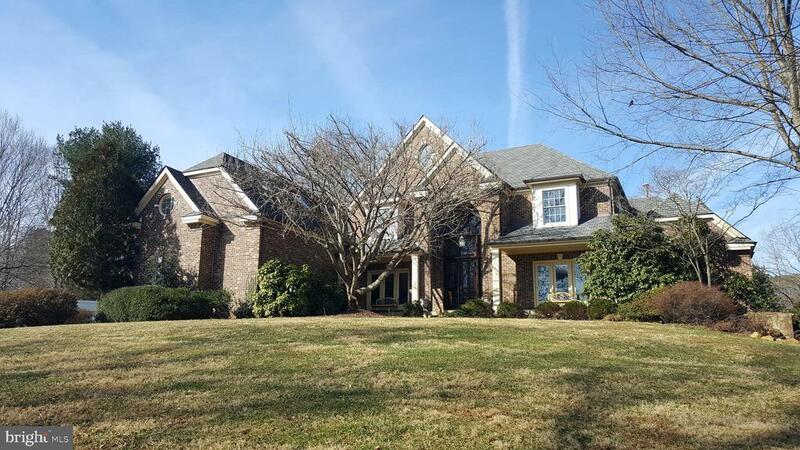 This gorgeous all-brick executive home is situated in one of the area~s most desirable neighborhoods and is conveniently located to downtown Warrenton, local schools and services, shopping, major highways, the Dulles corridor, wineries, and so much more. This custom-built home has been impeccably maintained and is move-in ready. Situated on a uniquely private lot, this home has a long list of upgraded amenities and is designed for family living and entertaining. Your family will appreciate the 5 generous bedrooms with large walk-in closets, each with its own private full bath. Relax in the gorgeous sunroom, or entertain your friends in the bar and game room, complete with one of three fireplaces. Spend romantic evenings in the luxurious master bedroom snuggled by the natural gas fireplace or lounging in the Jacuzzi bath. You will be drawn to enjoy outdoor living and entertaining on the spacious deck overlooking the 8.5~ deep heated pool. This home is freshly painted and offers many updates, including quartz countertops, new carpeting throughout, state-of-the art dual-zone Carrier Infinity HVAC, 80-gallon high-efficiency gas water heater, updated pool with new natural gas heating system and cover, and much more. 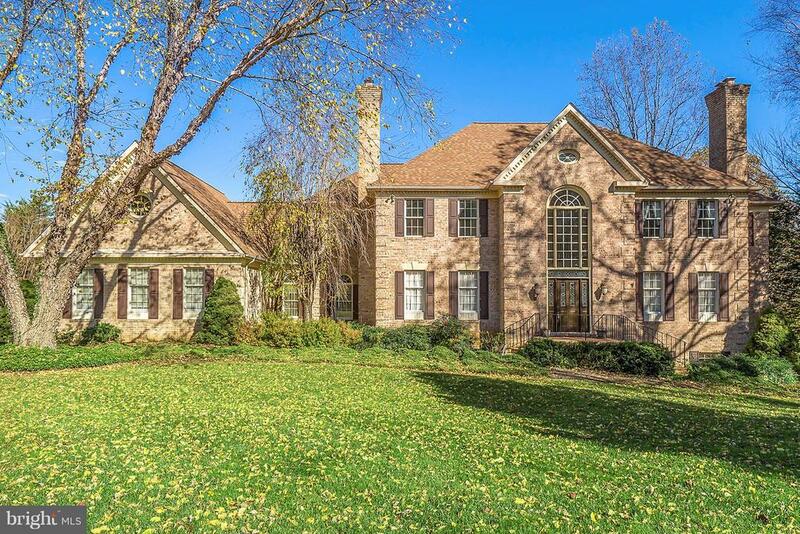 This home has exquisitely maintained landscaping with enormous curb appeal. Take our 3-D tour and learn why this home is such an exceptional value. Then run, don~t walk, to your agent for an immediate showing, and discover your new home!" "Motivated seller, Price improved by 15K, Stunning custom home with Exquisite detailing on 2.64 ac. This beautiful home offers 3 finished levels with marble and hardwood flooring through out the main, Carpet flooring in bedrooms, Tile flooring in all baths and upgraded laminate flooring in the lower level. The Gourmet Kitchen w/Subzero refrigerator, Miele expresso machine, Kenmore double oven,Viking cooktop, mini fridge, SS Hood, Granite & corian counter tops is every families dream kitchen for entertaining. The spacious and light filled familyroom off the kitchen w/ gorgeous Gas fireplace provides more open space off the kitchen. The beautiful light filled formal living and dining room offers space for formal gathering. The upper level offers 4 spacious bedrooms w great views, closet space and 3 full baths. The Lower level is fully finished walk up with 1 bedroom ,1 full bath, Bar, bar furniture , pool table, workroom and plenty of storage room. The covered slate porch/patio and fenced in privet backyard provides fantastic space for outside activities for families and pets. This home's ACsystem is electric+ heat pump(hybrid system) and the Heating system is Gas/Electric/Heat pump(hybrid system). **Propane tank is Leased from Amerigas**Home owners also have replaced roof in 2016, Hot water heater in 2017 and Sump pump in 2018. This home has been well cared for. Come and see it for yourself." "Privacy!!! 10 Beautiful acres. 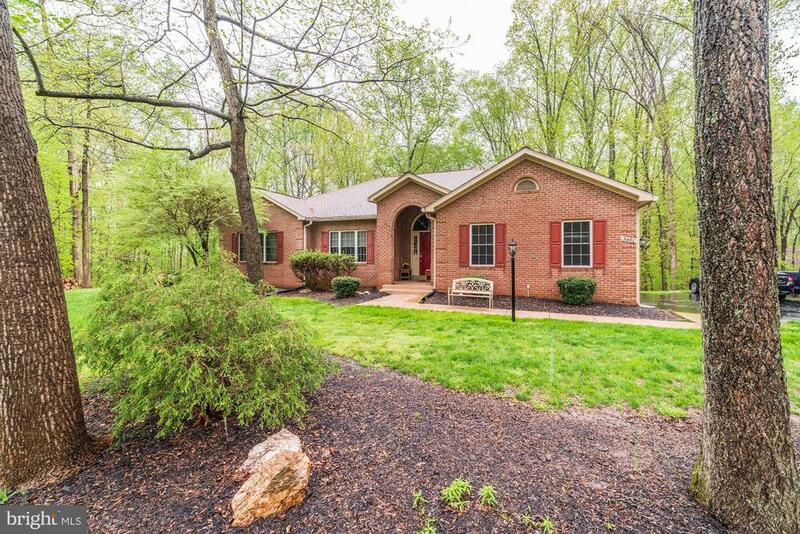 Minutes to downtown Warrenton. Huge 3 car garage. 7 BR, 4.5 Baths. Huge fully finished basement. Deck/Stamped Concrete Patio for entertaining. Updated floors, kitchen and bathrooms. Granite Counter Tops. Circular paved driveway." "Welcome to big sky country, with pastural views out every window. Builder's personal home, warmly welcomes everyone,from young families to empty nesters. 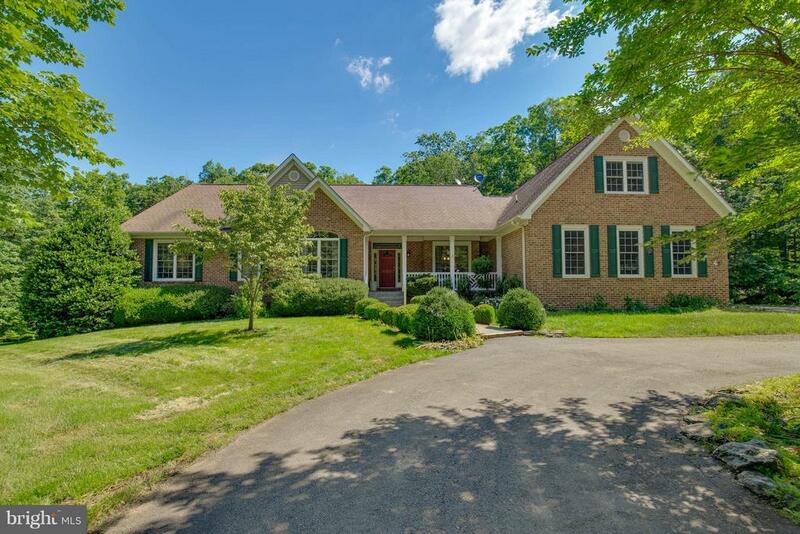 A quick and scenic drive to shopping and located directly across from Fauquier Springs Country Club. Country living at its best! Site plan, floor plan available."